Beko’s reputation for making good quality appliances at great value prices continues with the fantastic range of Beko fridges. From small units to tall coolers, a Beko fridge is a great investment for your home. Beko fridges come in a variety of sizes, with integrated units available for fully fitted kitchens, giving you a concealed unit for a neat finish. 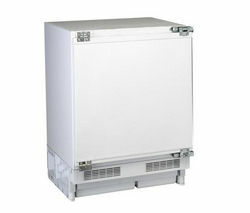 Small under-counter fridges start from under £150 and come with a minimum A+ energy rating and a one year manufacturers guarantee. The larger Beko fridges come both with or without a water dispenser depending on your choice of model, with the convenience of needing no plumbing should you opt for one. Simply keep the internal tank topped up and you’ll have ice cold water at the press of a button. All Beko Fridges also come with an auto defrost function to keep your unit working at maximum capacity, whilst the larger models have a handy wine rack for storing the all important tipple. 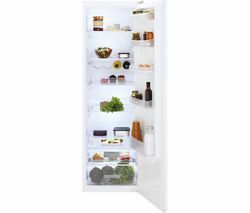 Our range of Hotpoint Fridges also come in a variety of colours and sizes, with excellent energy ratings and stylish designs. Or if you’re into their iconic design then our Smeg Fridges will give your kitchen that ultra-cool retro feeling.